Yevstigney Ipat’yevich Fomin (born St. Petersburg 16 August [O.S. 5 August] 1761 – died St. Petersburg 27 April [O.S. 16 April] 1800) is one of the greatest Russian composers of the 18th century, whose influence on the further development of the Russian opera was noticeable. Italian-trained Fomin composed about 30 operas, most of his works were lost and a few survived in scattered fragments, only the scores of The Coachmen at the Relay Station (Yamshchiki na podstave), The Americans (Amerikantsy), Orpheus and Eurydice (Orfey i Evridika) and choruses to a tragedy Yaropolk and Oleg (Yaropolk i Oleg) have survived completely until the present time. Yevstigney Fomin, son of a cannoneer in the Tobolsk regiment, was born in St. Petersburg. He was orphaned at an early age. Being a very gifted child, he was admitted shortly before his sixth birthday to the Foundling School of the Imperial Academy of Arts, a charitable institution set up by Catherine II to foster a new generation of Russian artists. At the Foundling School 5 and 6-year-olds were boarded, trained as artists, and given some tuition in the musical arts (though, unlike for the other arts, neither gold nor silver medals were awarded for musical studies). After nine years of studies, students graduated from the school, majoring in art history, portrait painting, engraving, sculpture, architecture and other subjects. Their final examination consisted in drawing a picture on a given subject. 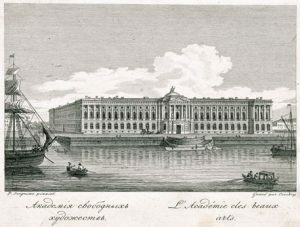 Fomin received his general education and his first musical training at the St. Petersburg Academy of Arts, where at the time there was a special music class. 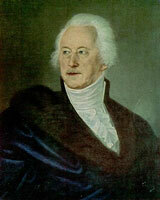 He initially studied architecture before entering the Academy’s Music Department in 1776, where he studied harpsichord under Matteo Buini, then theory and composition under Hermann Raupach (who became director of the Academy’s Music Department from 1777), then with Anton-Blasius Sartori (from 1779). In 1782 Fomin graduated with distinction from the Academy of Arts. According to the statute, a student of the music class could not be awarded a gold or silver medal for “outstanding achievements in music” unlike awarding architects, sculptors and artists for such achievements. Instead of medal, Fomin was rewarded for his achievements with a cash bonus of 50 rubles, it was a less symbolic but more necessary reward for a young man then. Later that year, Fomin obtained a stipend, and was sent to Italy for three years to continue his musical education and improve his compositional technique. He went to Bologna where he studied with Pader Martini (the teacher of the great Mozart) and Stanislao Mattei at the Bologna Academia Philharmonica that was considered to be the largest music center in Europe of the time. Martini’s health, however, at that time was already weak, he could not devote much time to teaching, and Fomin studied mainly with his pupil Stanislao Mattei. 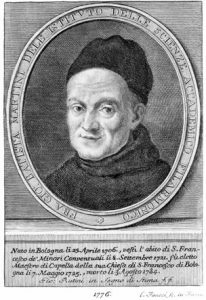 He was one of the best students of then famous Padre Martini, and received a good knowledge of counterpoint and enriched his musical and historical education. In 1785 Fomin was elected a member of the Bologna Academia Philharmonica. Giovanni Battista Martini (24 April 1706 – 3 August 1784). Also known as Padre Martini. Italian composer and music theorist, teacher of Wolfgang Amadeus Mozart. Returning to St. Petersburg in autumn of 1786 he wrote his first opera The Novgorod Hero Boyeslayevich (Novgorodskiy bogatyr’ Boyeslayevich). The libretto was written by Empress Catherine II, based on authentic bylina (traditional form of Old Russian and Russian heroic narrative poetry transmitted orally) material and describes the adventures of bogatyr’ (a hero of the Russian folk epics) Vasily Boyeslavovich. On 26 November 1786 Fomin made his debut as a composer with the opera The Novgorod Hero Boyeslayevich at the Hermitage Theatre at St. Petersburg. 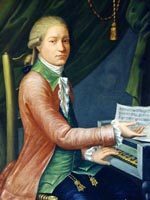 However, Catherine II didn’t like the opera and this was enough to make the career of the young musician at court impossible, he had to earn his living as an accompanist and teacher. Until Catherine’s death, Fomin was unable to obtain any permanent position. Only in 1797, three years before his death, he was finally accepted in service at the Directorate of Court Theatres as a singing teacher at the Theatre School, where he coached singers for operatic roles, accompanied the orchestra in French and Italian operas. Much of what Fomin did in the previous decade remains unknown, however, his creative work was active. Between 1786 and 1800 he produced a half-dozen comic operas at St. Petersburg. He wrote a series of operas, two of which, Chloris and Milo (Klorida i Milon) and The Golden Apple (Zolotoe yabloko), were staged after his death. 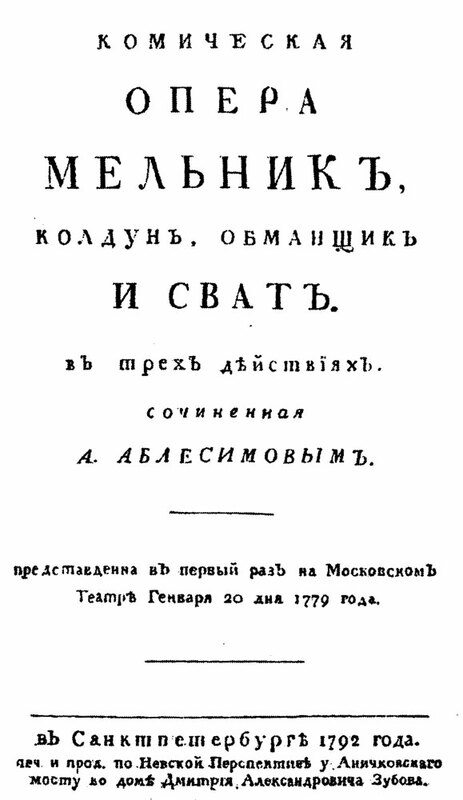 The Coachmen at the Relay Station (Yamshchiki na podstave, 1787), libretto by Nicolai L’vov, had a score based entirely on folk material and included choruses in which the composer attempted to transcribe the authentic polyphony of Russian folksong. The plot of the opera is weak, but its merit lays in a lively portrayal of the coachmen, their customs, dialects and in most their songs. Fomin’s use of folk music in The Coachmen at the Relay Station was a significant step in the development of a distinctively Russian operatic style. In 1788, Fomin composed one of his most famous operas The Americans (Amerikantsy), a comic opera in two acts, to a libretto by the 19-year-old poet, the future fabulist Ivan Krylov. In this opera Fomin brilliantly showed his mastery of the opera-buffa style. The opera was not accepted for staging because of the hidden, but understandable to the audience anti-serf message. Written in 1788, it was premiered only in 1800 shortly before the composer’s death, with a text edited and revised by Klushin. 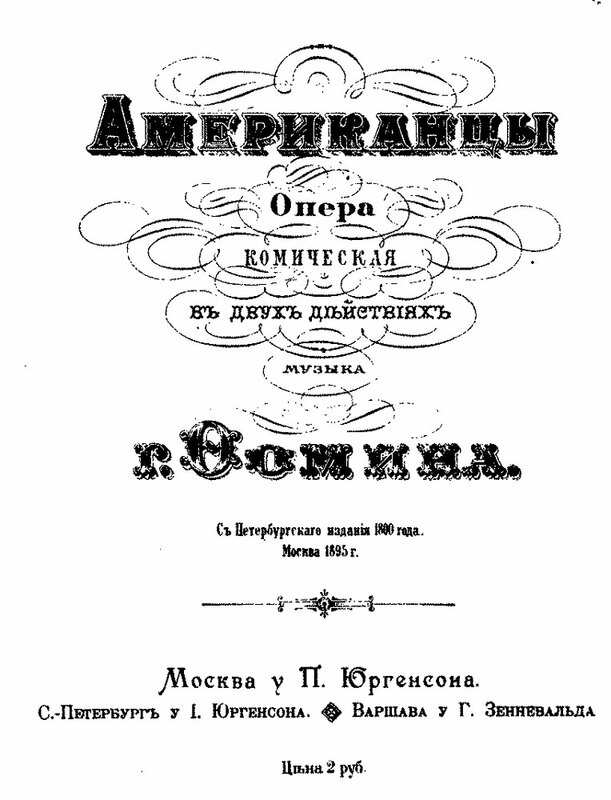 In the 1790s, Fomin revised the highly popular opera The Miller Who Was a Wizard, Cheat, and Marriage Broker (Mel’nik-koldun, obmanshchik i svat), in three acts, to a libretto by Alexander Ablesimov. The original music for this opera was written by Sokolovsky in 1779, but in the 1790s the music was apparently rewritten or arranged anew by Fomin, and it was in this form that the opera has been preserved and is staged up to the present time. Orpheus and Eurydice (Orfey i Evridika), is one of the most beautiful Fomin’s masterpieces. A melodrama in two acts based on the classical myth of Orpheus and Eurydice, written by dramatist Yakov Knyazhnin in 1791, was highly acclaimed by theatre audiences. The story of Orpheus and Eurydice is the ultimate tragic love story. Perhaps one of the most famous Greek myths, it has inspired many prominent painters and composers. Many operas, songs, plays, cantatas and ballets have been composed to honour these two great lovers who tragically lost the chance to enjoy their love. The story of Orpheus and Eurydice has been told in many versions with a few differences between them. Fomin’s opera Orpheus and Eurydice differs from Monteverdi’s L’Orfeo and Gluck’s Orfeo ed Euridice, cause it has a tragic ending. Fomin created music full of violent pathos and drama. It consists of the combination of dramatic reading with accompaniment of the orchestra. The opera Orpheus and Eurydice is perceived as a single symphonic action, with continuous internal development directed towards the culmination at the end of the opera presented with Dance of Furies. Ivan Dmitrevsky (February 28, 1734 – October 27, 1821). Russian actor, playwright, teacher, and translator. Co-founder with Fyodor Volkov of the theatre in Yaroslavl which is considered the cradle of Russian professional theatre. Orpheus and Eurydice was staged in St. Petersburg with the participation of the famous tragic actor of the time Ivan Dmitrevsky, but the premiere of the opera was on 5 February 1795 in Moscow, it was performed with the accompanying ballets and choruses of the infernal Furies. However, the fate of the opera Orpheus and Eurydice was not easy. When staging the opera at Count Nicholas Sheremetev’s Theater, it was decided that the opera needed a happy ending in which Eurydice returns to Orpheus, and the ending was rewritten. The plot of the playwright was disrupted, and the “happy ending” was strange against the background of Fomin’s alarming and gloomy music. It is not surprising that in this form the opera was performed a few times, and then it was completely withdrawn from the repertoire. The revival of the opera Orpheus and Eurydice was in 1947. More than 200 years passed after the premiere, the opera still leaves an extraordinarily strong impression. The sincerity of the lyrical episodes charms the listener and we are struck by the intensity of the dramatic scenes. Yevstigney Fomin passed away in 1800, at the age of 39. His untimely death was almost unnoticed in society. Only many years later his name came up again, surrounded by legends, and only nowadays his music finds its lastener again.